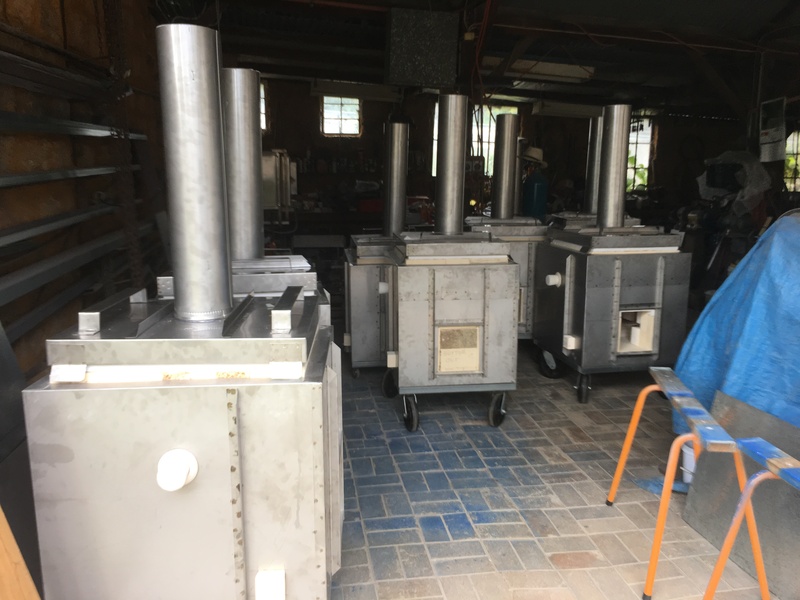 I walk down to the kiln factory and see a posse of Dalek like wood kilns all ready to surround me on their little wheels and steam punk chimneys. After all I am The Doctor! My first job of the year is almost complete. These kilns are almost ready, just a few minor finishing touches and internal fit-out to do, then a sweep, clean and polish. I hope to have my tardis small sized workshop back to begin the next job. I have had one of my customers down to do the first firing of these new dual-fuel models. It went well. We fired to cone 10 down in 2 hours, with a temperature distribution of cone 8 to 10. All very good. We used 2/3 of a 9 kg BBQ bottle of gas. At $20 to $25 per bottle, depending on where you buy it. That’s a $16 firing to stoneware in reduction. I’m very happy with that. 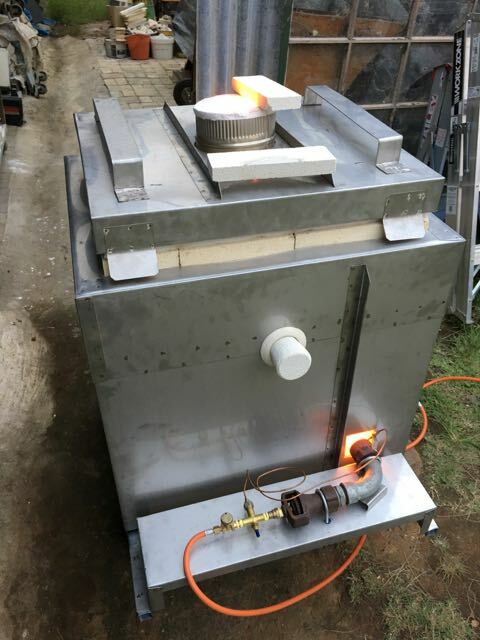 The kiln works out to be 130 litres volume with gas and 90 litres in wood fired mode. This entry was posted in kilns by hotnsticky. Bookmark the permalink.